Camille Claudel (1864 – 1943) was a French sculptor and the mistress of Auguste Rodin. She had very little formal education, but by her teens – was recognized as a very talented sculptor. When her family moved to Paris, she attended the Colarossi Academy. In 1883 she became a student (and girlfriend) of Rodin’s, but the relationship went sour. After the break-up, she worked non-stop (to the point of obsession), became very reclusive and lived in complete poverty. She did exhibit many of her pieces, but was also known to destroy everything in her studio. Paranoia followed, as she blamed Rodin for blackballing her and her work. 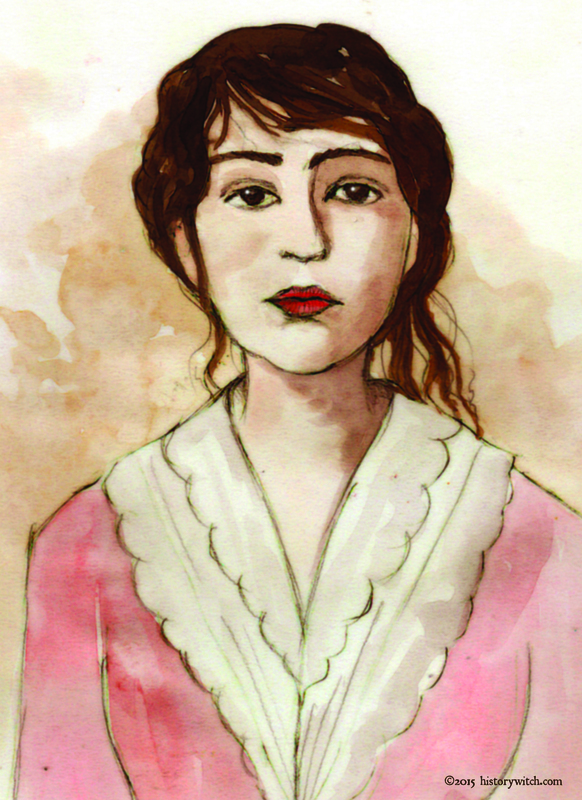 She was committed in 1914 to an asylum where she stayed until her death. So sad. Another follower request: Katherine Swynford. The Duchess of Lancaster (1350 – 1403). Katherine was born in Hainaut and came to England with her family in 1351. She married Hugh Ottes Swynford, a knight, and had 3 children with her first husband. Soon after, she became the governess to John of Gaunt’s children. When John’s wife Bianche passed away, Katherine and John began having a heated love affair! They had four children out of wedlock! Mon Dieu! They eventually married and their children were legitimized, but only with the stipulation that neither they nor their descendants could ever claim the throne. Katherine went from being somewhat of a commoner to being the highest ranked woman in England. It was extremely rare for the times for royalty to marry anyone with whom premarital relations had occurred. Zut alors! John and Katherine had 4 children: John, Henry, Thomas and Joan Beaufort. The provision in their legitimacy barring them to seek the throne was later revoked- their eldest son John was Henry VII’s great grandfather. Joan Beaufort married James I of Scotland and was the grandmother of Edward IV and Richard III. So essentially, almost the entire royal line of England descends from John and Katherine. Almost every monarch in Europe carries their blood as did five American Presidents and even Winston Churchill. 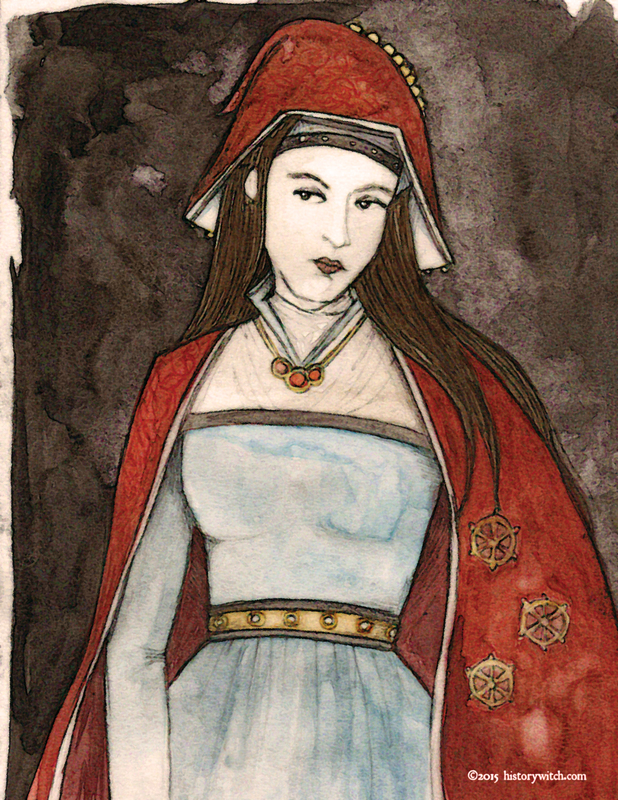 On John of Gaunt’s tombstone described Katherine as eximia pulchritude feminism. Which means “exceedingly beautiful woman”. This follower request came from a friend of mine, Shelley Grambley. The story of Hannah Dustin (1657 – 1736) is not for the faint of heart. Hannah was a Puritan living in Haverhill, MA. She had nine children and her husband, Thomas was a farmer. In March of 1697, their farm (and the village) was raided by Abenaki Native Americans who had come down from Quebec. At the time, many were coming down from Canada due to King William’s War. Sidenote: it was the number of people that fled from this war and headed for Salem/Danvers that began to overcrowd the town, deplete the resources and cause enough tension to fuel the Salem Witch Trials. So the Abenaki killed 27 colonists during that raid. Thirteen residents were taken hostage. Thomas escaped with 8 of the Dustin children, but Hannah, her 6-day-old daughter Martha, and her nurse Mary Neff were forced into captivity and dragged through the woods towards the Merrimack River. The accounts of her captivity say that Hannah was forced to watch her captors slam her infant into a tree, killing the baby instantly. Horror show, if it’s true. Six weeks later Hannah, along with Mary and a 14 year old prisoner from Worcester, MA (Samuel Lennardson) used tomahawks to attack the sleeping Abenakis, killing 2 men, 2 women and six children. They escaped by canoe (grabbing the scalps as proof) and eventually made their way back to Haverhill where they were rewarded. One should take into consideration that Hannah’s story only became famous 100 years after her death, thought to be an effort to defend the slaying of Native Americans. If everything is true- I think it’s safe to say, watching your baby be murdered 9 days after giving birth would cause a psychotic break. NOT justifying her actions, just trying to understand. She lived for another forty years. but little is known about her life after she returned home. Oddly enough, of all the amazing women who lived in this country, Hannah is the first to get a statue. The statue still stands and depicts Hannah with her tomahawk and a fist full of scalps. Morgan le Fay, also known as Morgana, Morgain, Morgant and Morgue is a powerful fictitious character that came into legend through the tales of King Arthur and the Round Table. In some tales, she is King Arthur’s lover, and in others she is his enemy. And yet, in some stories, she is Arthur’s half-sister who becomes a rival to the round court, seeking vindication against Queen Guinevere for stealing Lancelot. It’s all very confusing as she is interpreted in so many ways by so many different authors – healer, villain, enchantress, witch, mermaid, shape-shifter, queen or seductress. No matter how she is interpreted, Morgan is a powerful literary character in every form and she is vital to the tales of Camelot. 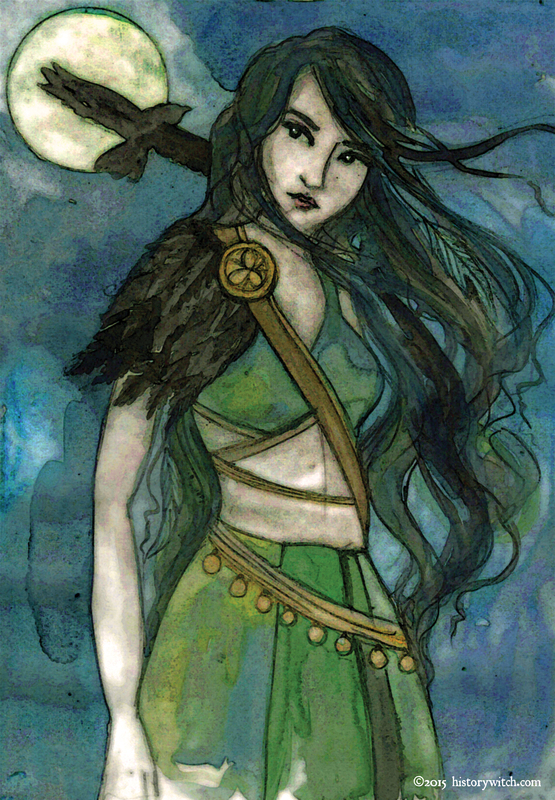 Her story is comparable to that of the celtic goddess, Morrigan (see previous post) but NOT the same. The two are often confused. The Morrigan is a phantom queen from Irish mythology who was/is considered the Celtic goddess of battle, strife and fertility. She is a shape-shifter that takes the form of a crow, wolf, horse or cow. She is said to have presided over rivers, lakes and fresh water. The Morrigan (or Morrigu) is associated with revenge, the night, magic and prophecy. 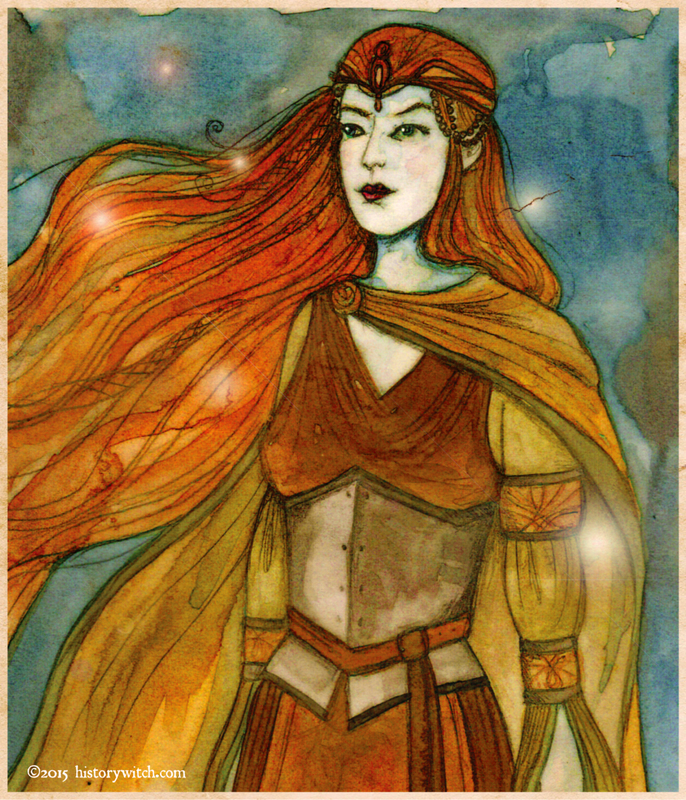 In many of the stories she appears as a trio of goddesses taking the image of maiden, mother and crone. The Celts believed that when a battle began, the Morrigan flew above them in the form of a raven or crow, shrieking at the possibility of claiming fallen soldiers. Loved by everyone but the Duke. Ahhhh…. Georgiana Cavendish (1757-1806.) She was FABULOUS. Unfortunately, she didn’t have what one would call a “happy” marriage. Ridiculed and abused for not producing a male heir – Georgiana found love with Charles Grey in a well-known affair. Their affair produced a daughter, Eliza. Sadly, she was sent into exile to have the baby and then was forced to give her to Grey’s family. “G” was told she would never see her other children again if she were to keep the girl. Eliza grew up not knowing why her “parents” resented and disapproved of her (Charles’ Aunt and Uncle.) Georgianna visited her frequently in secret and always brought toys (which were never given to her as a child by anyone but Georgiana.) 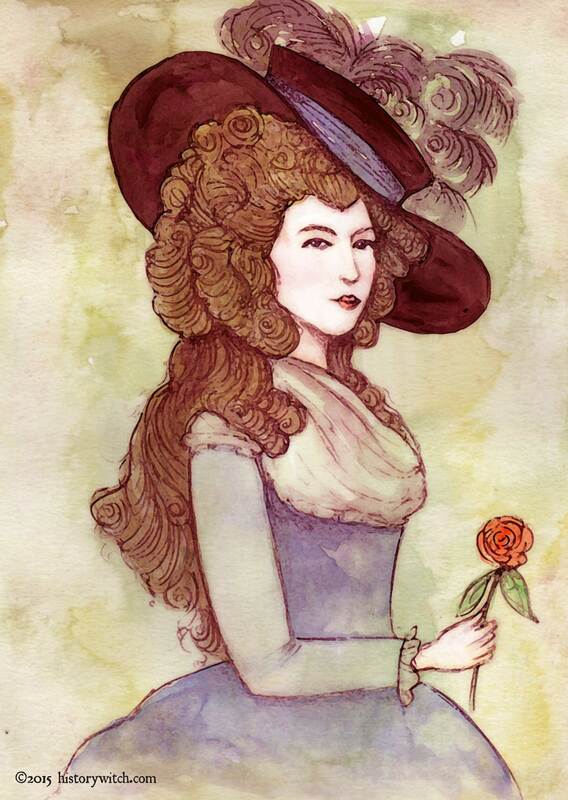 It wasn’t until the Duchess passed away that Eliza was told who her real mother was. Eliza named her first daughter Georgiana. Gwenllian was a Princess Consort in Wales, married to Gruffyd ap Rhys, Prince of Deheubarth. She was the youngest of eight children and came from a royal family. The fair maiden was said to be very beautiful, and very popular with her people. These were dark days for Wales as they struggled against the Norman Invasion. 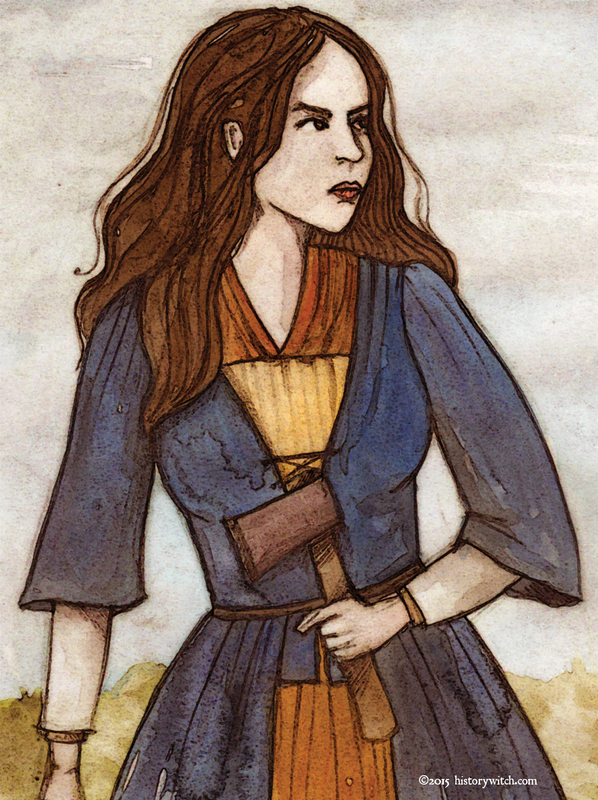 The battles forced Gwenllian and her husband to move around the country in various strongholds. Gruffydd led many successful “lightning raids” and eventually joined up with Hywel ap Maredudd for the Great Revolt of 1136. While he was out gathering men from various villages, a battle broke out near Kidwelly Castle. 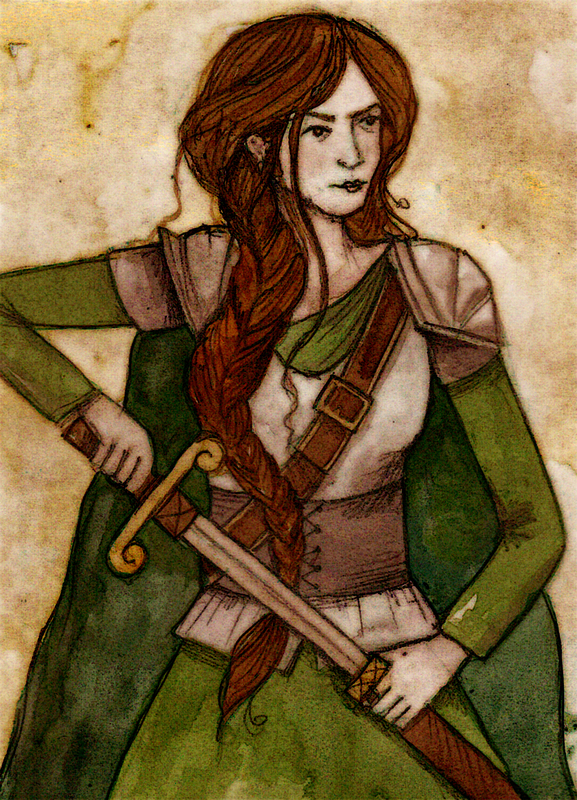 Gwenllian led her army against the raid but was captured and beheaded, along with two sons.